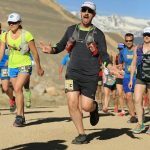 Will I Run the Leadville 100 Again? I still go back and forth on the question. Going into race day, I physically felt 3 times more ready than last year. This year, I was just stupid mentally. I was taking in plenty of calories from the start, while also dehydrating myself into the grave. The outreach of support through phone calls, text messages, emails, Facebook, and Twitter has been a touch overwhelming. All of them are appreciated and I have done my best to reply individually. True but I have to wait another year and keep figuring out how to training. Acceptance is something I am working on. Accepting that I put in all the training I could with the time allotted, knowing that I had the support, and that many were watching. Agree to a point. 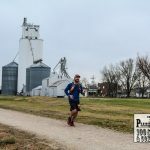 Weekly mileage is not the only qualification to complete a 100 mile race. Plenty of experienced runners DNF’d this year on that schedule. I have changed my perspective and gained new friends that have pushed what I believe is possible. Comments like these remind me to never forget the day I struggled with a 5k. Many people have asked if I was in pain. I really wasn’t! I think I attribute that to the positive attitude I maintained throughout the entire weekend. It was about running with friends and being part of the community. My brain never let me feel true pain. The energy and emotional roller coaster following the discharge from the ER has been in full force. One moment I feel stronger than before the race and a minute later I want to curl up into a ball on the ground. Family and friends have helped keep it in perspective while regularly checking in on me. 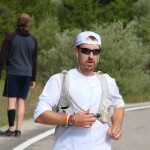 So will I run the Leadville 100 Mile Trail Run again? Yes. It may not be next year, but I will run again. I have to really take a look at increasing training time and the impact that has on the rest of my life. For sure I will be running 50 mile races and some fun marathons. This does not mean I will be easing up on training when in fact, I will be adding more variety to my training. Do I feel like a failure? No. I feel more stupid than anything. Sometimes you have to get stupid in order to get it right. The key is to continue moving forward. 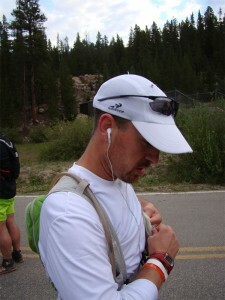 One Response to Will I Run the Leadville 100 Again?